Judy Camuso and a Maine game warden band peregrine falcons during Camuso's time during her tenure as a wildlife biologist. 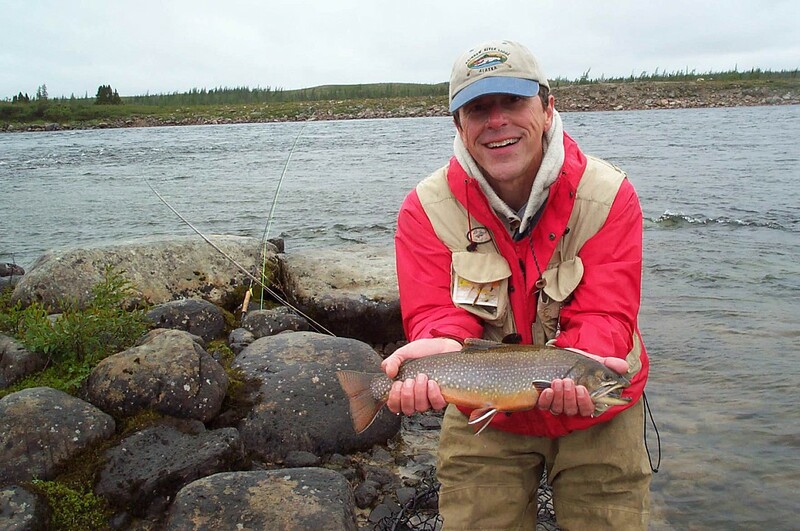 In 2019 Camuso was appointed as commissioner of the Maine Department of Inland Fisheries and Wildlife. Maine Department of Inland Fisheries and Wildlife. Editor’s note: This is the first in a series of stories about newly appointed Maine Department of Inland Fisheries and Wildlife commissioner Judy Camuso and her priorities as she charts the agency’s course into the future. While her appointment as commissioner of the Maine Department of Inland Fisheries and Wildlife may have come as a surprise to some who didn’t know her, or didn’t expect the first woman ever to be selected to fill that position, Judy Camuso confessed that she had made her career goals pretty clear during an early meeting with her former boss and predecessor. Woodcock wasn’t doubting her, Camuso said. Instead, he seemed stunned at her blunt answer. Either way, less than a decade later, after being nominated by incoming Gov. Janet Mills and confirmed by the state senate, the 48-year-old Camuso is sitting exactly where she said she wanted to be: In the commissioner’s seat. “Here I am,” she said. And here’s how she got there. Growing up in Melrose, Massachusetts, about 10 miles outside Boston, is not the kind of background you may expect from a future wildlife biologist and Maine outdoor leader. But Camuso said she wasn’t the typical Boston kid. In fact, her family didn’t quite know what to make of her. At UVM, she found that major, and embraced it. During an internship at Monomoy National Wildlife Refuge, she realized she had found her life’s work. After several internships and part-time biological gigs, Camuso took a job with an engineering firm, working on environmental planning. That career wasn’t for her, so she quit, figuring she had work seasonally at L.L. Bean until something better came along. Then Maine Audubon called her with a job offer. To say that Camuso was eager may be an understatement. She did, and spent 11 years at the conservation organization, working her way up through the ranks as far as she thought she likely would. Then she decided to take another step and applied for a regional wildlife biologist job with the DIF&W, working out of the Gray office. Again, she got the job. The transition was striking, she said. Though she found herself in a totally new environment, Camuso said she felt welcome at once, and quickly learned that she could always depend on her colleagues. Camuso said she had a career plan in mind — 10 years as a regional biologist, learning the ropes, and then she hoped she had be able to advance and become the agency’s special projects coordinator. The previous special projects coordinator, however, had other plans, and retired two or three years before Camuso thought she might. Unfazed, the biologist jumped at the chance, and was rewarded with that post. That promotion didn’t last long. Within eight months, in 2013, the director of the department’s bureau of resource management retired, setting off a domino-effect of job swaps that led to Camuso hopping up the ladder again, this time, to wildlife division director. 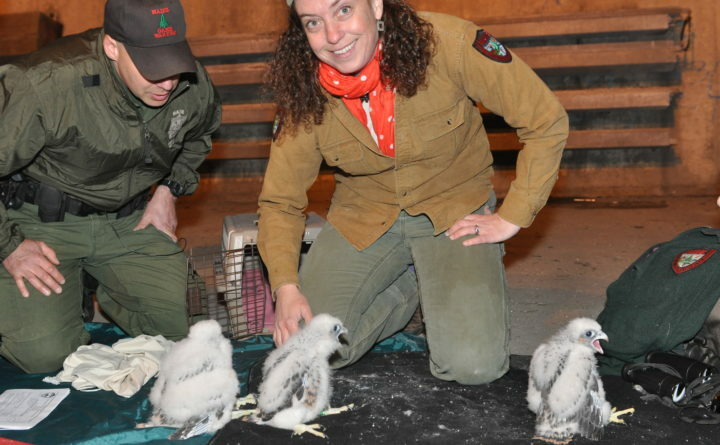 “So, in about eight months time, I went from being a Bio 1 in the region — the lowest sort of seniority in the wildlife division with the least experience … to the wildlife director, overseeing the whole wildlife program and division,” she said. Six months later, she hopped into the middle of a referendum battle to help defend the department’s bear management methods. “Although that process was very challenging and exhausting physically and emotionally for many of us on staff, I think it really helped people see that I was pretty committed to the agency and to our management,” Camuso said. Over the ensuing six years — up until her appointment as commissioner — she waited, and waited, and waited for a time to catch her breath. It hasn’t come yet. “I like to say I’ve been waiting for a slow season in the agency,” Camuso said. Her time as a jack-of-all-trades regional biologist had already taught her that wasn’t likely. Not that she’s complaining. And the former bird nerd from Boston is happy with her lofty new perch.